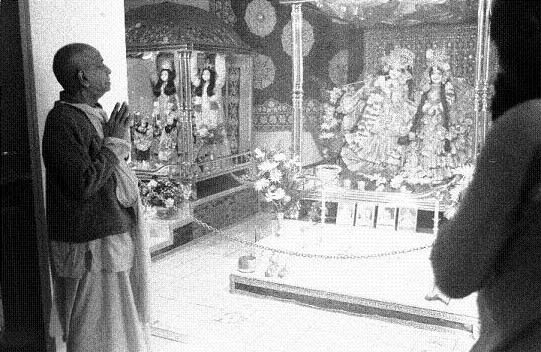 "The spiritual master is always engaged in the temple worship of Sri Sri Radha and Krishna. He also engages his disciples in such worship. They dress the Deities in beautiful clothes and ornaments, clean Their temple, and perform other similar worship of the Lord. I offer my respectful obeisances unto the lotus feet of such a spiritual master."